We make sure that we understand each of our patient’s personal stories and hearing needs. We tailor our solutions specifically for you so that you receive the best hearing care possible. Dr. Timothy C. Dunnigan is the Senior Staff Audiologist at Advanced Hearing Technology, Inc. He has been recognized many times for his outstanding service as well as his care and compassion towards his patients. Dr. Timothy Dunnigan received his undergraduate and graduate degrees in audiology from the State University of New York College at Plattsburgh. He completed his internship at UVM Medical Center in Burlington, VT and his Clinical Fellowship at LSS in Laconia, NH. He received his Doctorate of Audiology from University of Florida. Originally from Lancaster, NY, Dr. Dunnigan moved to New England and spend most of his career serving the people of Maine in private practice. While there, he was appointed by the Governor to the state hearing aid regulatory board where he was instrumental in writing and enforcing laws that deal with the hearing aid industry. He also was elected president of the Maine Audiology Society by his peers. Living in Southwest Florida for several years now, Dr. Dunnigan founded Advanced Hearing Technology in February of 1997. He is well known in the Naples and the Bonita Springs areas for his care, quality service and compassion for his patients. 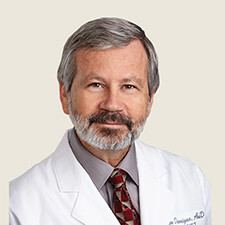 Dr. Dunnigan has been a member of The American Academy of Audiology; The Academy of Doctoring Audiologists; and The American Speech, Language and Hearing Association. He looks forward to continuing to offer the very highest quality service and most technologically advanced instruments representing every style and type of hearing aid from nearly every manufacturer worldwide. Dr. Victoria Hingst has been with Advanced Hearing Technology for several years. She is originally from Michigan, but spent 10 years on the Canadian prairies working with the Saskatchewan Provincial Health Service. For the past 20 years she has worked in connection with two Otolaryngologists in Flint, Michigan. In her Flint practice, Dr. Hingst was involved in balance testing, pediatric audiology, hearing aid dispensing, and cochlear implant programming. Dr. Hingst received her B.A. and M.A., from Michigan State University and remains a loyal Spartan Fan through thick and thin. 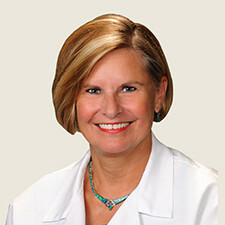 In 2006 Dr. Hingst completed her Doctorate in Audiology through A.T. Still University, Arizona School of Health Sciences. Her graduation celebration included a helicopter ride through the Grand Canyon. Dr. Hingst is passionate about patient care. She believes that communication through good hearing is key to good relationships. Family involvement and support are critical factors in rehabilitation through hearing aids and other assistive listening devices. The auditory and vestibular mechanisms are an integral part of overall good health and Dr. Hingst looks at her patients as a total picture. She believes in working closely with family physicians for her patients when necessary. Education and staying current in any field is important, but even more so in audiology. Therefore Dr. Hingst is a member of the American Speech Language and Hearing Association, the American Academy of Audiology and the Academy of Doctors of Audiology. She also holds licenses to practice in both Florida and Michigan. On a personal note, Dr. Hingst loves Southwest Florida and spends her free time at Dog Beach with her Brussels Griffon, Emma, or kayaking and touring the area.